The swans, ducks and geese belong to the family Anatidae under the order Anseriformes. 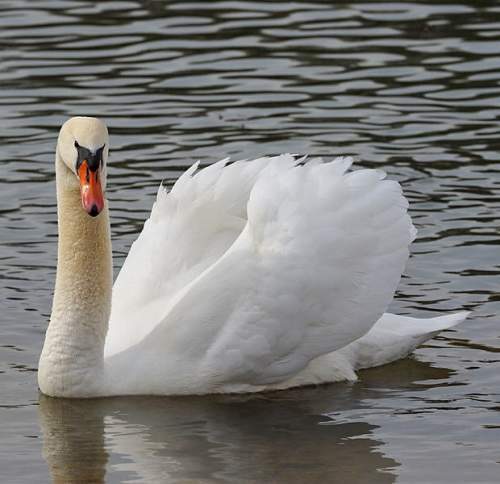 All the seven extant swan species are grouped under the genus Cygnus. 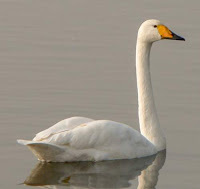 Three of the Cygnus species occur in the Indian continent. 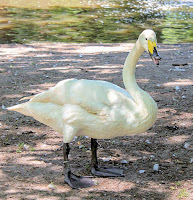 Swans are large waterfowl with long, slender, "S" shaped neck and relatively small head. 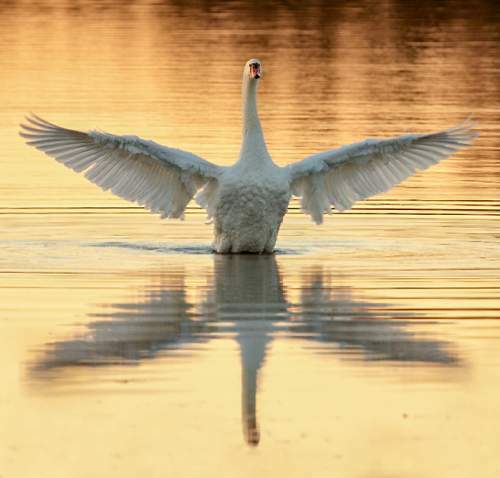 They have long wingspan and are excellent flyers. 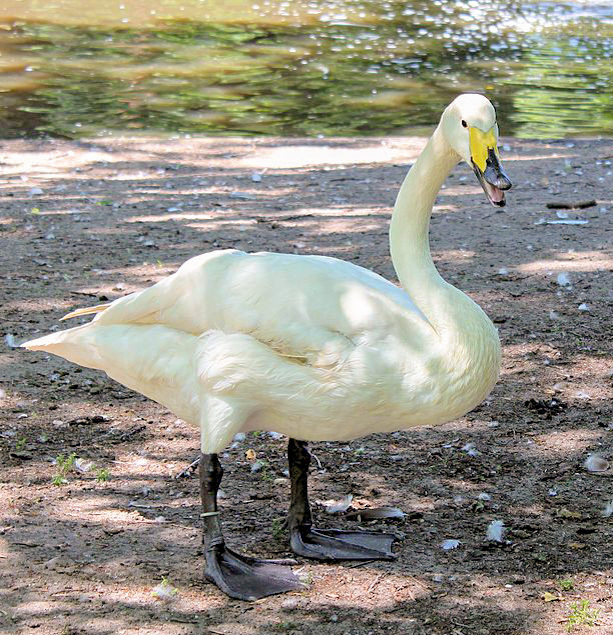 They have webbed feet and are excellent swimmers. The swans have broad and flat bill and are dabblers. They primarily feed on plant matter. 1.The Mute swan (Cygnus olor) breeds in central and west Asia and parts of Europe. The wintering populations are found in Middle East, southern Europe, central and east china and the Indian subcontinent. 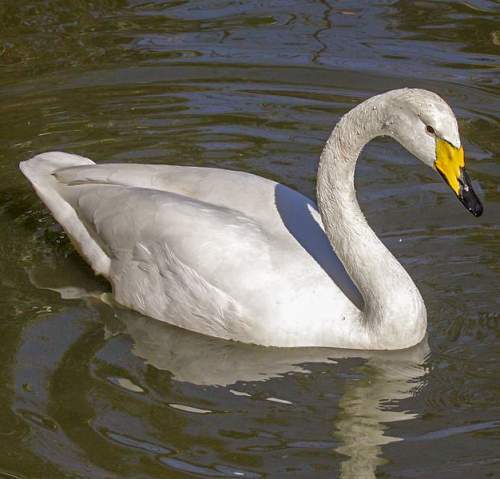 The International Union for Conservation of Nature (IUCN) lists it as of Least Concern(LC). This species in monotypic. 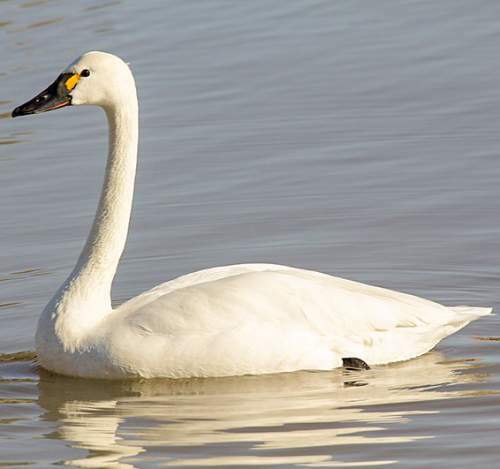 2.The Tundra swan (Cygnus columbianus) breeds in north and northeast Asia and northern parts of North America. 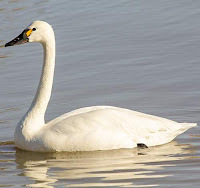 The wintering populations are found in Middle East, western Europe, east and southeast china, southeast and southwest North America and the Indian subcontinent. 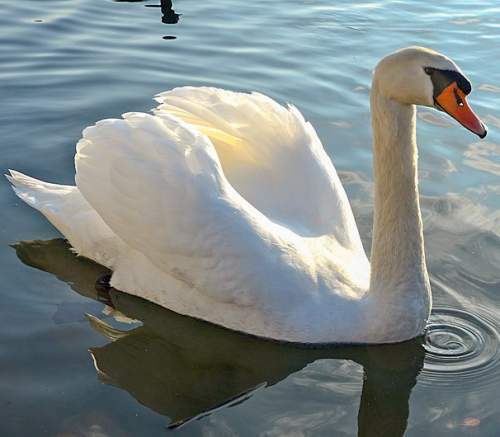 The International Union for Conservation of Nature (IUCN) lists it as of Least Concern(LC). This species in polytypic and comprises subspecies C. c. columbianus and C. c. bewickii. 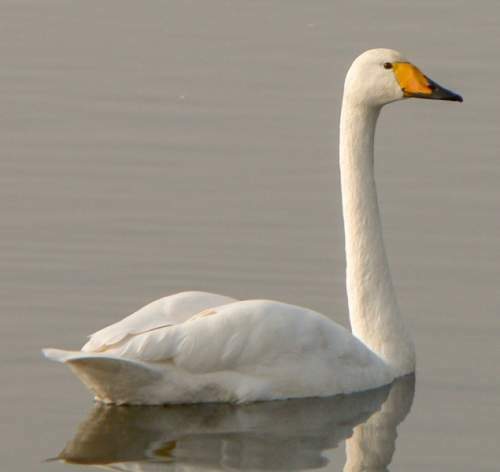 3.The Whooper swan (Cygnus cygnus) breeds in north Arctic and subarctic Asia and Europe. 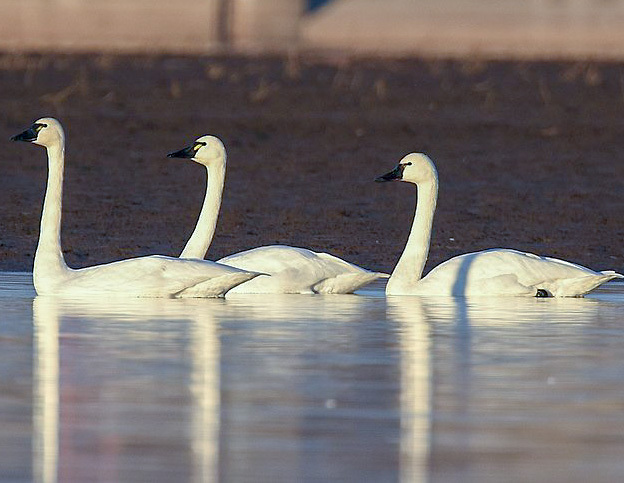 The wintering populations are found in Middle East, southern and western Europe, eastern china, Japan, North Korea, South Korea and the Indian subcontinent. 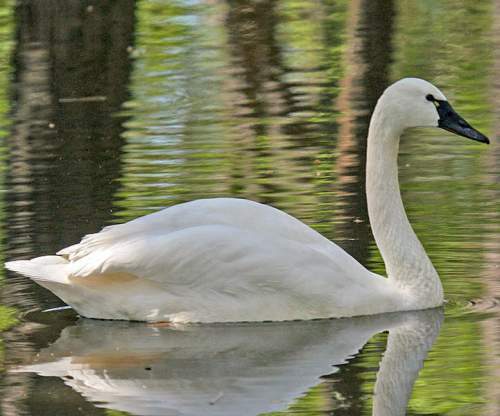 The International Union for Conservation of Nature (IUCN) lists Cygnus cygnus species as of Least Concern(LC). This species in monotypic. Recently updated and current topic in Bird World: List of Indian swans and images.